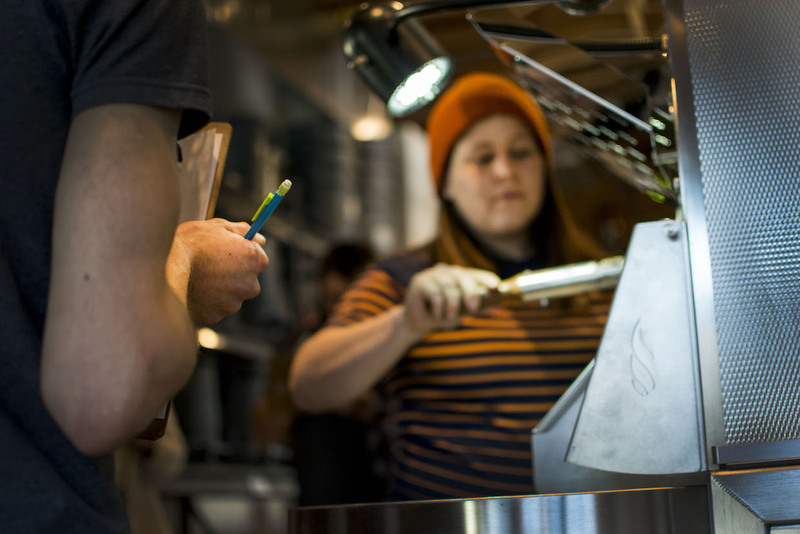 Royal Coffee Director of Roasting Jen Apodaca. 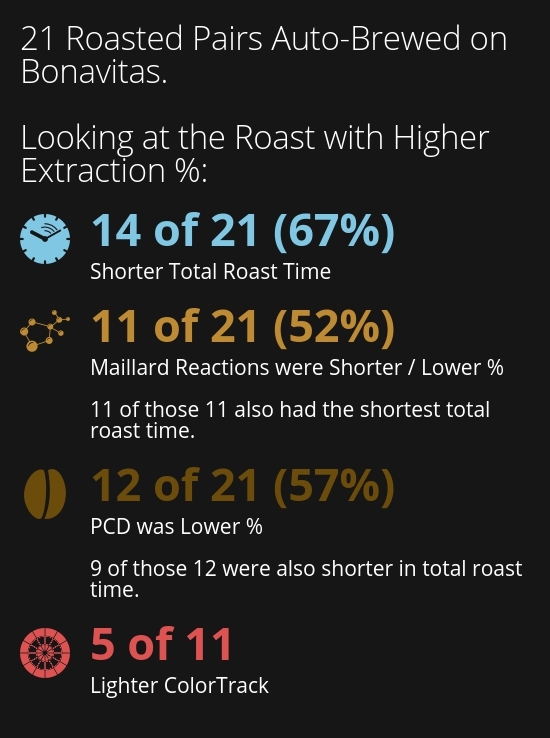 All images courtesy of Royal Coffee, Inc.
Bonavita brews seemed to produce a few associations, at least from an overall trend perspective, between roast styles and extraction. 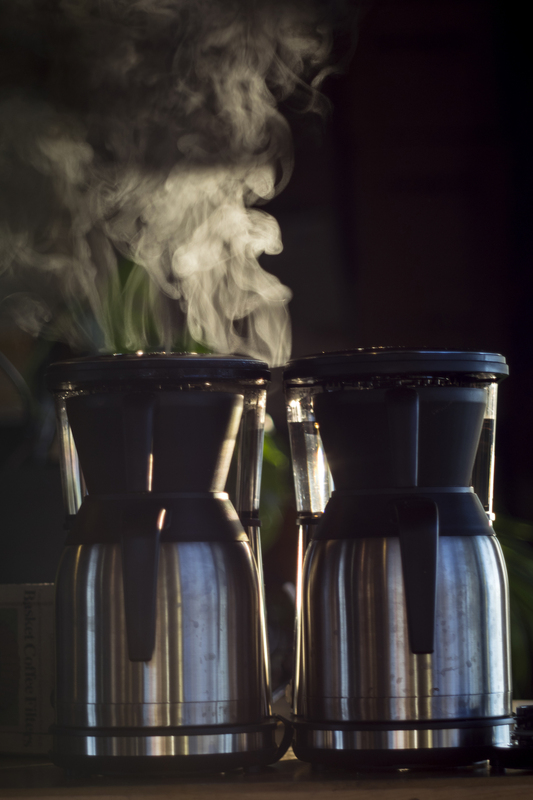 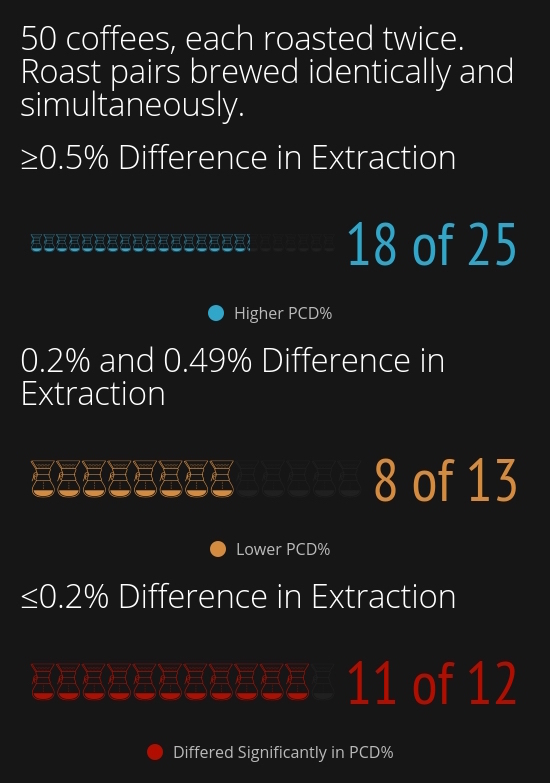 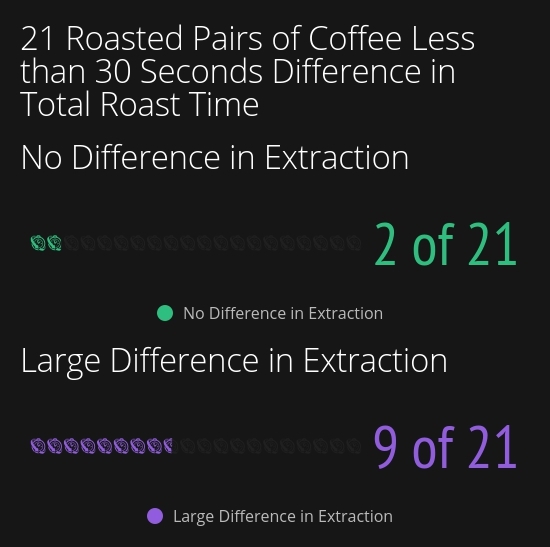 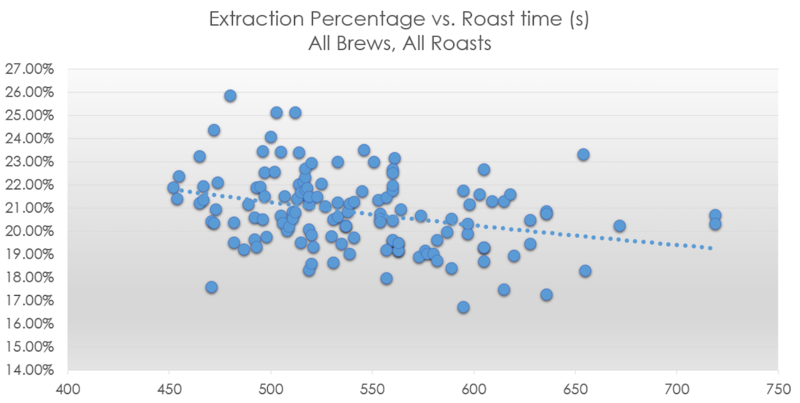 However, manual brew styles did not always uphold these trends, so it seems reasonable to conclude that the small variations attributable to the human influence on manual brewing are a more important factor in extraction than even the most dramatic differences in roasting. 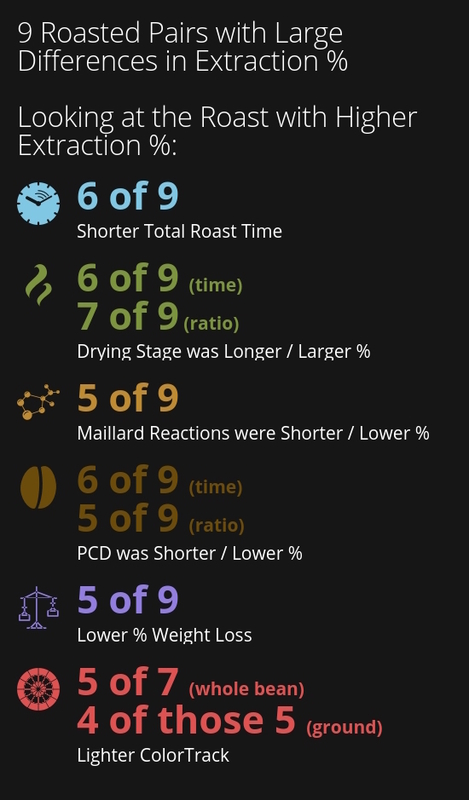 Chris Kornman is a seasoned coffee quality specialist with a decade of experience working at Intelligentsia under Geoff Watts as a cupper, educator, green coffee buyer, and roaster. 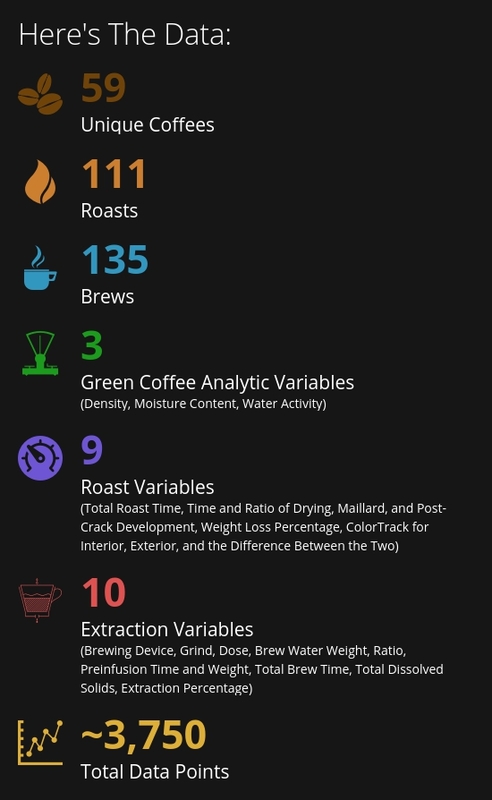 Chris logged thousands of miles across the coffee lands in East Africa and Brazil, though lately his focus has been developing educational curriculum and written media for The Crown: Royal Coffee Lab & Tasting Room.